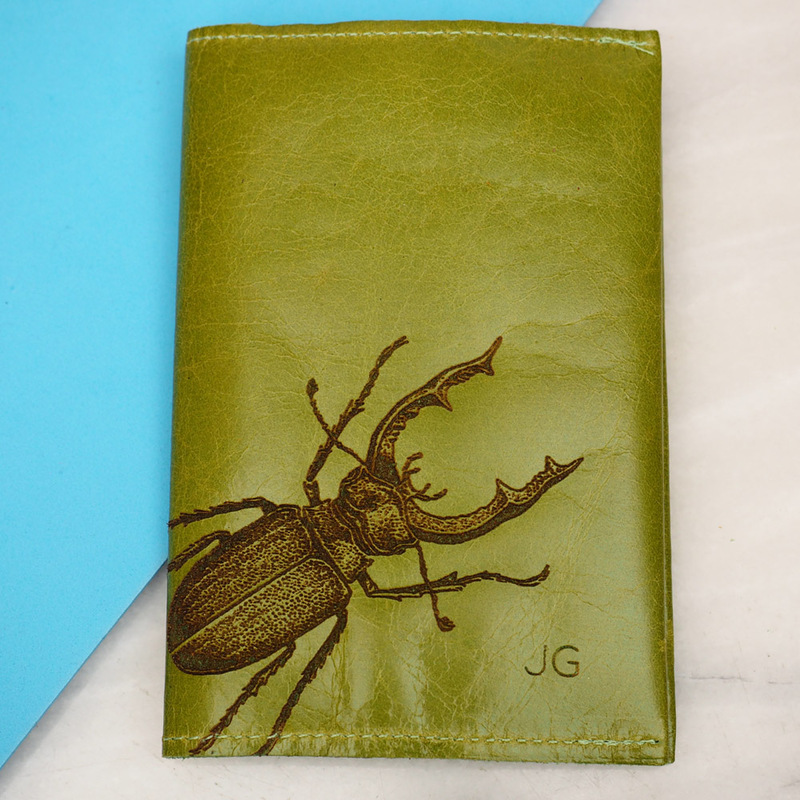 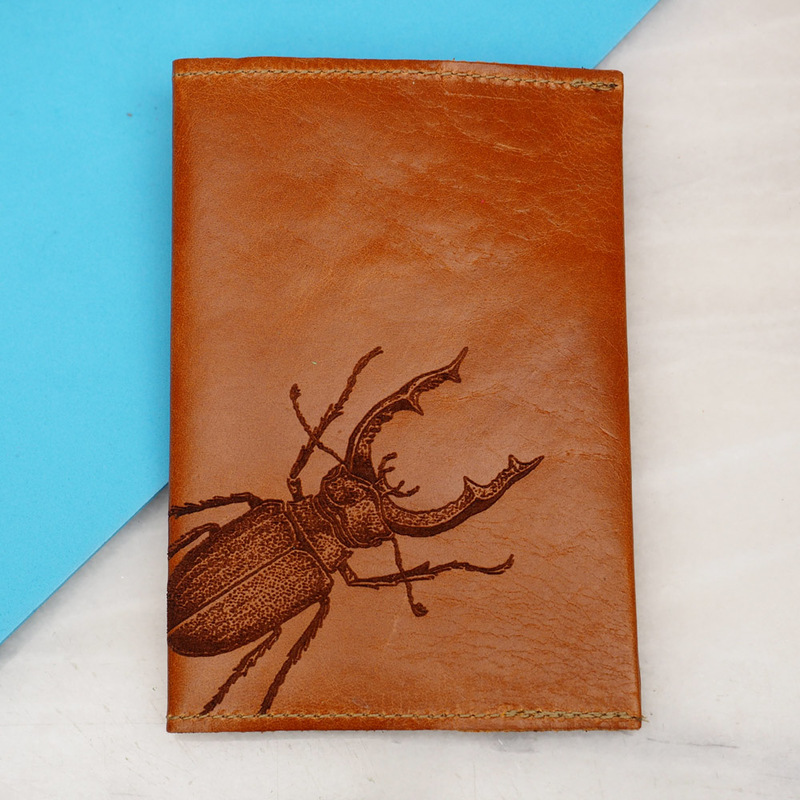 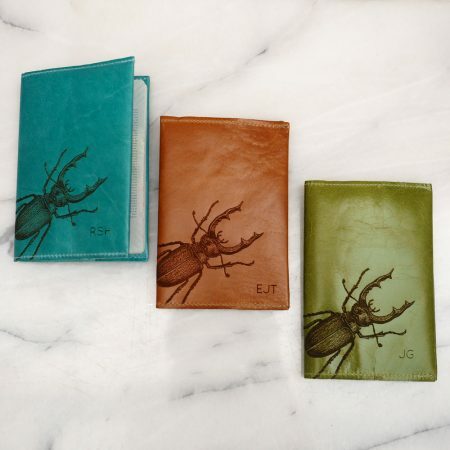 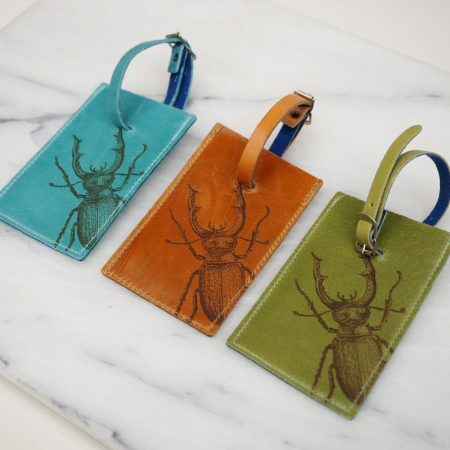 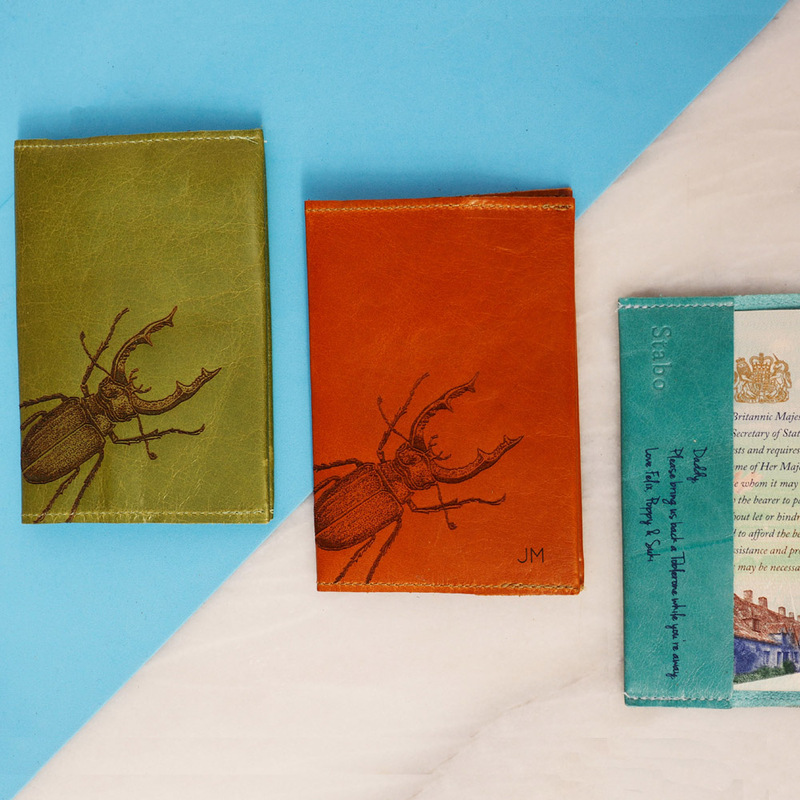 These distinctive passport holders are given a stylish finish with our engraved victorian style drawing of a Stag Beetle. 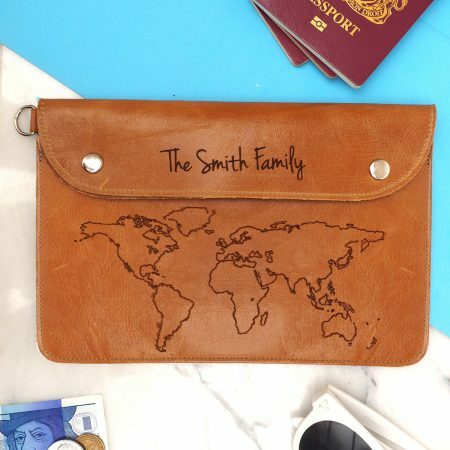 The combination of old fashioned style of drawing engraved onto our gorgeous choices of leather makes a really love passport cover which is really easy to spot. 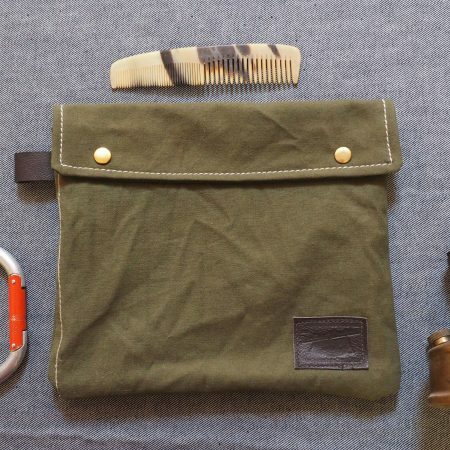 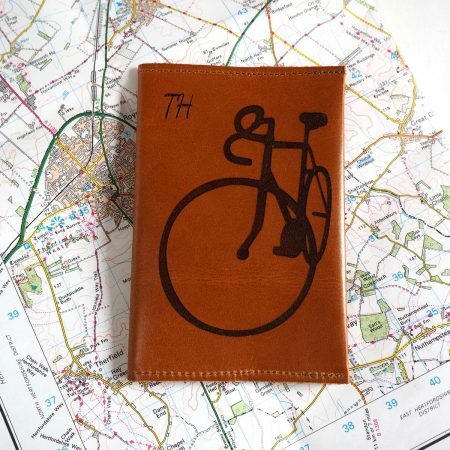 They would make a great gift for a cool, hipster, frequent flying brother in law. 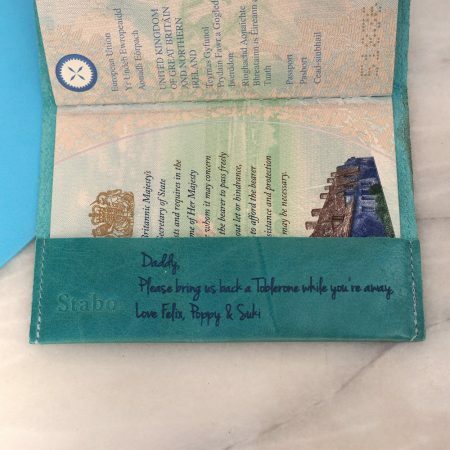 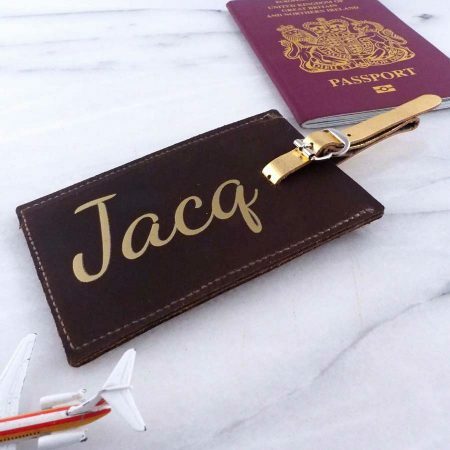 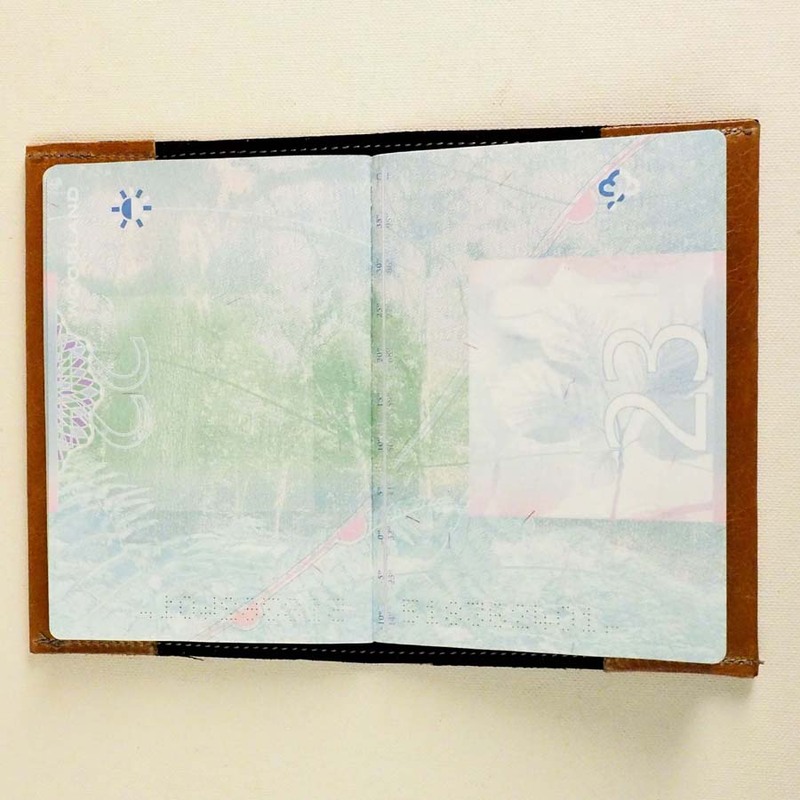 You can make it even more special by getting initials engraved on the front of the passport holder and a personal message. 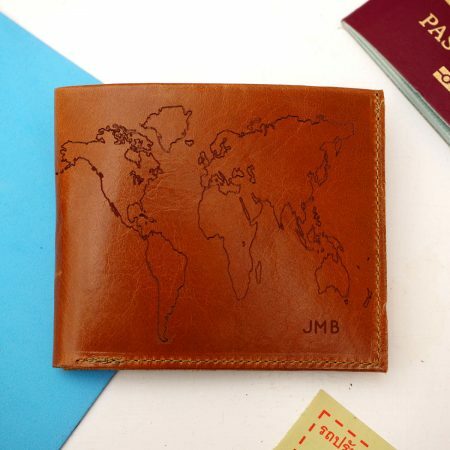 The passport holder can be personalised with your initials on the outside and a message on the inner flap. 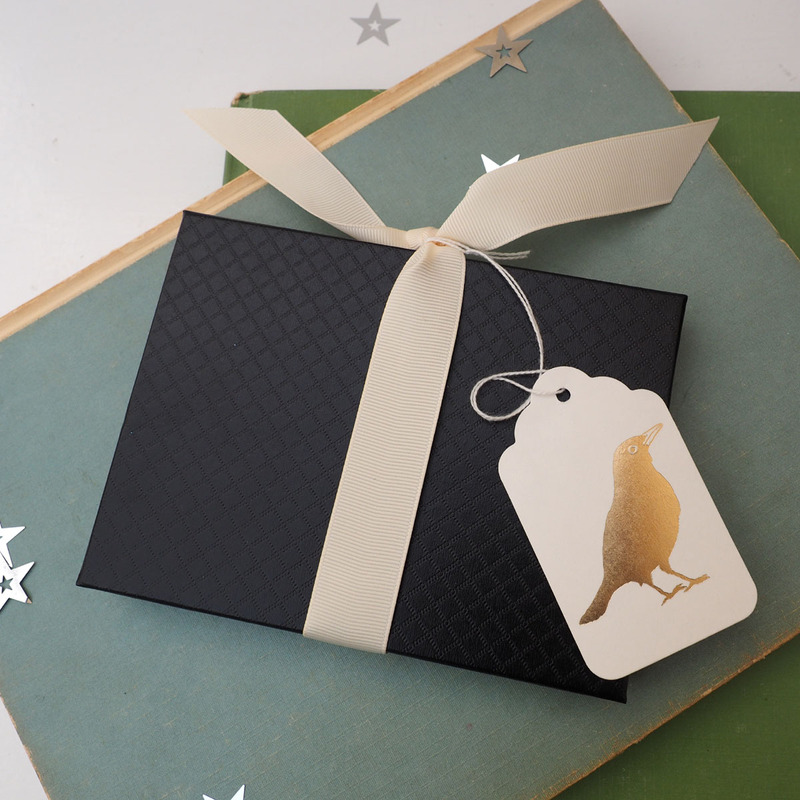 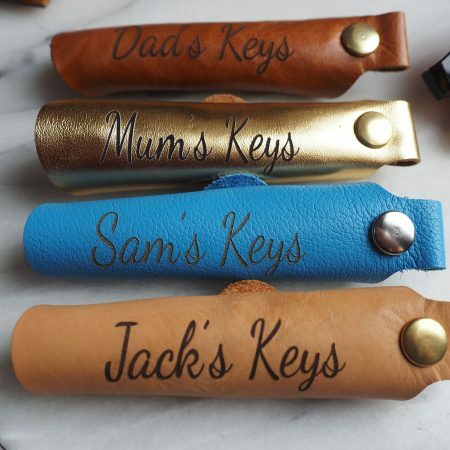 If you would like a message engraved on the inside just send us a message when you order. 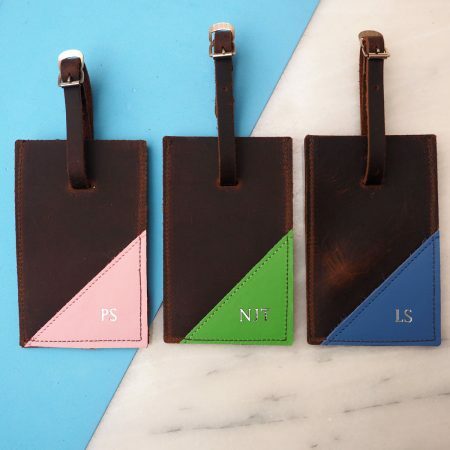 Choose from apple green, turquoise blue or tan leather. 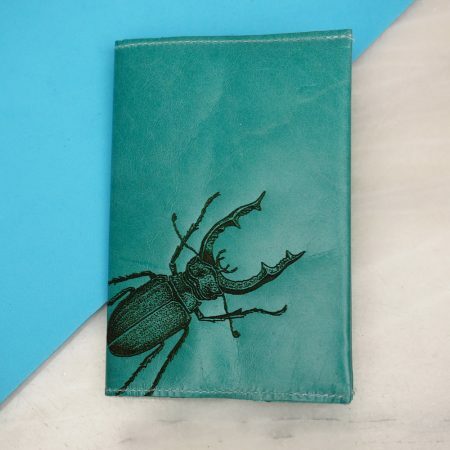 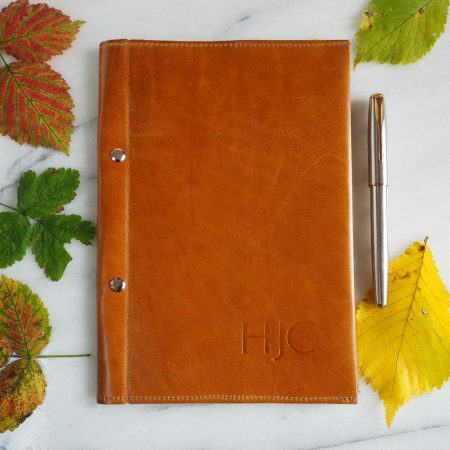 The leather has a glazed finished and wears beautifully.